Women of the Afro-Punk Movement: "The Remix"
The women of the Afro-Punk movement are parallel to the Blues Women of the Harlem Renaissance because of their endeavors to define their own morals of woman hood aside from other Black women. 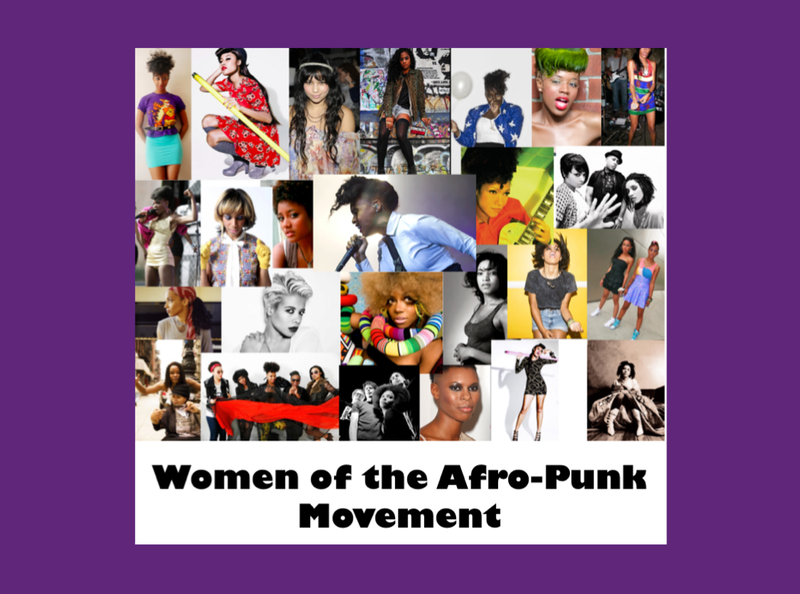 Women in the Afro-Punk movement fight mainstream stereotypes of black women to express themselves and to display the various interests of black people. Also, women of the Afro-Punk movement relate to women of the Blaxploitation era in redefining aspects in fashion. Similar to Pam Grier, Janelle Monae has created a new fashion trend with her natural hairstyles and reserved clothing. Afro-Punk women create their own identities based on their personal lifestyles to communicate their independence.